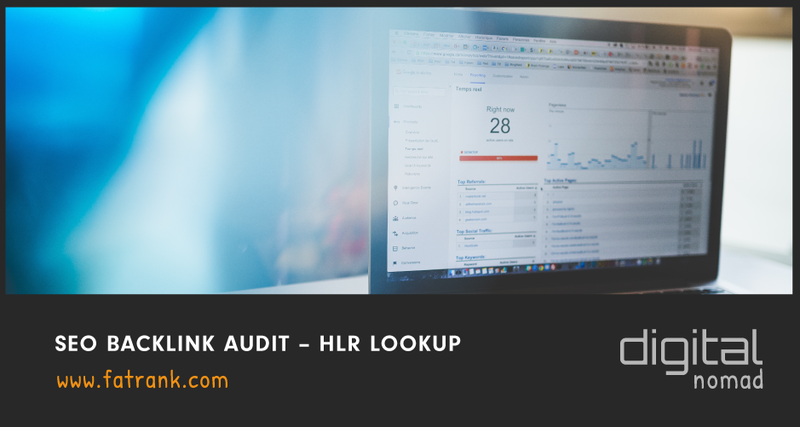 Fatrank have carried out an SEO Backlink Audit for the HLR Lookup website who specialise in data cleansing. Dan has put this audit together and provided some inside information to why your site may not be positioned how you would like for your target key word. 0:06 – As you can see they are database sites and they kind of offer services such as SMS data, validating numbers, a clean data list, all that kind of stuff. And essentially what we’ve done is we’ve taken a look at their website, had a look at some keywords that are relevant to the services they offer, that they’re currently not ranking for, and just kind of found ways that possibly they could weave in a few SEO techniques to essentially start ranking for that key phrase. 0:27 – So the big one that we found, we head over to ahrefs here, is this key phrase ‘data cleansing’ as you can see up there. Now data cleansing gets 800 searches per month as you can see and it’s quite a low keyword difficulty. So this may be a really good key phrase for this company to go for and to start ranking for. So I’m just going to go through a few problems with the current setup of the website as to why we feel that they’re not ranking for this key phrase. 0:51 – Initially you’ll notice on the site itself there’s no inner pages that are actually about that key phrase data cleansing. You can look up here and there’s nothing mentioned, the phrase data cleansing or about that kind of thing. You’ve got clean data lists here but that doesn’t click through to any page. And if I just go onto Google here and have a look here with this search string that says site:hlrlookup.com”data cleansing”, that’s going to pull in all of the pages essentially from this website that are mentioning data cleansing or about data cleansing. And as you can see from the results there, if I just highlight this bit, there are actually no results from that website that are about that key phrase. 1:29 – So our first bit of advice for that really would just be for this website to basically create a page or create some documents on their page that are discussing data cleansing, discussing that key phrase and actually trying to rank for it initially. And then kind of moving onto the off-page stuff which I’ll go through now. 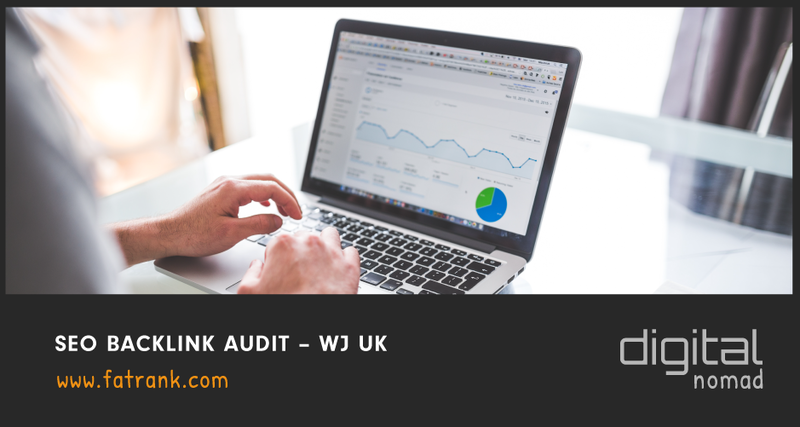 1:44 – So our first bit of advice really is to create that page, try and rank for that key phrase and just try and push it into maybe that top 100 bracket in Google and get that initial step done really. 1:54 – Past that if I go back to ahrefs here, as you can see I’ve just showed you this, this is the amount of searches it gets per month, keyword difficulty, etc. But if I scroll down a bit it will actually show me the top ten Google rankings for this key phrase which is data cleansing. 2:07 – And as you can see ranking number one there is a featured snippet from Wikipedia, so it’s just sat there. And then obviously number two are the four related questions. So this is one of them, search results where Google feels it’s relevance bring in a snippet in the questions. So they’re going to be sat in there and probably move around within the search string just naturally as it goes on. 2:26 – But in terms of what’s ranking organically down here, as you can see you do have Wikipedia again there at number four. But number three you’ve got experience with “What is Data Cleansing?” It’s literally an article about data cleansing and they’re trying to rank for that. Then there’s other companies here, Data Cleansing Services there, which is similar to what these guys are probably offering, etc. So a lot of your kind of competitors are within that top ten list if you will. 2:50 – The key thing that I’ve noticed with these that’s kind of obviously going to be probably pushing HLR Lookup site off of the top ten, is that even though they actually have this page that’s trying to rank for, which those guys currently don’t, they also have these over here, these back links and referring domains going to these inner pages. So for example if I pull in that one I just showed you which is this Data8, you can see that if I hover over the back links tab, it’s got 39 back links and they’re from 12 different domains. So essentially 12 different domains are linking off to this inner page here which is about data cleansing. So that’s going to really help their rankings quite significantly for this key phrase and that’s why they’re sat in that nice position at number five, and probably could start pushing upwards if they started to build a few more. 3:35 – So the key really with that is obviously to create your page about data cleansing, create that kind of document frequency about that key phrase, and then build some back links through that actual inner page that you’ve built. Build some back links so you’re competing with your competitors. You have all of these referring domains going through to their inner pages too. And to get that one step above your competitors whilst you’re building those back links, it’s to really make sure that the back links that you’re building are relevant to the key phrase that you’re looking for. 4:02 – So obviously with data cleansing you can have things about kind of lists, Excel documents, all that kind of stuff. Things that are about data cleansing. To be honest I don’t know too much about the industry, you guys probably know a lot more than me, but just using your logic about things that are relevant to the industry of data cleansing. Because what a lot of people do is they look at this and they see, “Oh, my competitors have 12 referring domains going into their page. I’m going to build a few more.” They do that and then the links that they end up building just aren’t relevant, they’re just not kind of about the topic that you’re trying to rank for, about the keyword that you’re trying to rank for. 4:36 – Whereas for this data cleansing one that if you were to build really niche relevant links and kind of match your competitors or go slightly above your competitors in terms of the back links and referring domains that they have to their site, then you will see an advantage. You will see an advantage over your competitors because you will have that advantage in the industry. In that market you will be the more relevant site in Google’s eyes then if you will. 4:55 – So I’d say that’s my main three pieces of advice for this key phrase, is obviously go into the website first, creating that page about data cleansing, get the document frequency going about the key phrase so that Google sees that you’re an authority in the niche. And then to back that up further build those back links, make sure they’re niche relevant, and kind of have a look at how your competitors are doing with their number of back links and referring domains. And just one-up them with that in terms of relevancy and numbers essentially is what I would advise. 5:20 – So yeah, thanks for watching guys and I’ll see you later. It is important to put a quality backlink strategy for this site to improving in google rankings. By resolving these issues, it is possible to quickly climb up googles ladder. Once the backlinks have been ordered and put in place, please leave this a few weeks before assessing progress. New links can often cause a site to fluctuate in positions due to the random ranking factor. For more information on this, please comment with your name and email address below and we will be contact to discuss this directly.